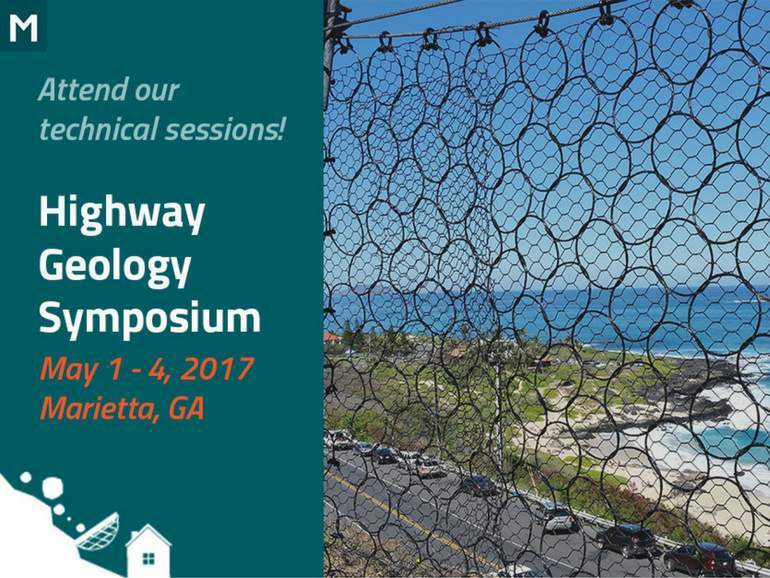 Maccaferri is sponsoring the 68th annual Highway Geology Symposium in Marietta, Georgia, from May 1-4th, 2017. The conference will focus on creating better highways through applied geology. Our engineers from the US and Canada will present three papers on various topics related to the conference subject matter. The Highway Geology Symposium (HGS) is organizing its 68th annual conference in Marietta, Georgia, from May 1st-4th, 2017. The conference aims to create better highways across the United States through applied geology. Founded to foster a better understanding and closer cooperation between geologists and civil engineers in the highway industry, the HGS was established and held its first meeting in 1950, in Richmond, Virginia. The event has taken place annually since its inception. “High strength synthetic cable products” David Cheer, Maccaferri UK. We’re excited to share our knowledge and expertise with the geology and civil engineering community. Please stop by our booth #18 and meet with our knowledgeable rockfall mitigation specialists.